We are providing Domestic Relocation Services, Home Relocation Services, Office Relocation Services, Office Relocation Services, Car Transport Services, Packing Services, Car Carriers. Our team members work according to the clock to entertain all sort of queries and are always close to clients for keeping them abreast with advancements in the projection. Being a frontrunner in the industry, we are involved in providing our customers highly qualitative Household Goods Moving Services. These provided services are offered in agreement with the defined guidelines to preserve our standing in the industry. To add, the employees rendering these services are appointed after stern analysis of their skills and experience. Blue Bird Logistics/Packers Movers provide services of house shifting. We are well known for our good packing of items and on time delivery. We make sure that all the items of our client including delicate items like aquarium, televisions sets, and glass items are packed well and shifted without any harm. Relocations are always to be and extra care & planning. 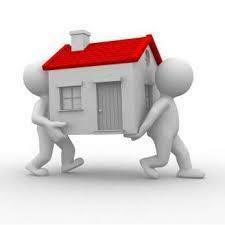 Our relocation services provide you complete rest & peace of mind. Each product is given extra care and delivered in intact condition. As these are not only goods but part of your life and your daily business requirements.